When you hear the word ‘guiri’, it’s worth double checking to see if the person who is speaking is talking about you. The word is generally used to talk about foreigners. The word ‘guiri’ is commonly used in Spain and is similar to the south american version ‘gringo’. Chances are that you will never get rid of your ‘guiri’ status. 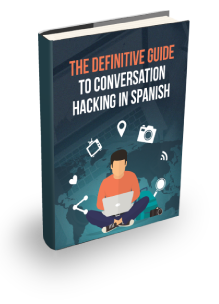 But there are some quick and easy ways you can make your Spanish sound better than it is. And if you do it well enough, you may avoid the ‘guiri’ label. 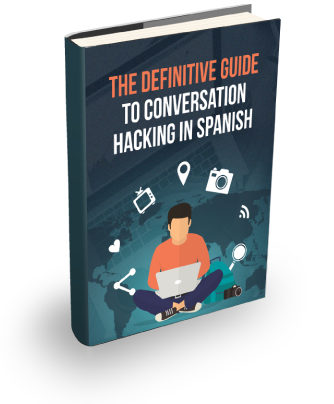 In todays podcast episode we focus on two types of quick things you can do that will make your spanish level sound higher and impress the locals. Today’s podcast is really a fundamentals episode. We focus on the pronunciation of Spanish cognates and a few tricks for remembering the gender of some common nouns. When you pronounce the cognates poorly or use the incorrect gender for nouns it’s a dead giveaway that your are a beginner. But if you can focus on nailing these fundamentals it will give you a boost in perceived level. We welcome Arantxa Florez back to the podcast to help us work on our Spanish accents. Arantxa was received warmly from her first episode. But there were a few listeners that commented that she speaks a little quickly. I suggest you listen to it a few times if you don’t understand it. Don’t worry if you don’t understand everything the first time. It’s all part of the learning curve. I have no idea – No tengo ni idea. The tall boy – El chico alto. The tall girl – La chica alta. The skinny boy – El chico flaco. The skinny girl – La chica flaca. The white house – La casa blanca. The white car – El coche blanco. An idea – Una idea. A thing – Una cosa. A question – Una persona. The question – La pregunta. The party – La fiesta. The time – La vez. The people – La gente. The truth – La verdad. The example – El ejemplo. The place – El sitio. The side – El lado. The moment – El momento. The level – El nivel. The place – El lugar. The country – El país. The day – El día. The hand – La mano. The map – El mapa. The movie – La película. The movie – La pelí. The bicycle – La bicicleta. The bicycle – La bici. The disco – La discoteca. The disco – La disco. The motorbike – La motocicleta. The motorbike – La moto. The architect – El arquitecto / La arquitecta. The waiter – El camarero / La camarera. The cook – El cocinero / La cocinera. The doctor – El médico / La médica. The dentist – El dentista / La dentista. The poet – El poeta / La poeta. The police – El policía / La policía. The model – El modelo / La modelo. The pilot – El piloto / La piloto. The soldier – El soldado / La soldado. The climate – El clima. The dilemma – El dilema. The langauge – El idioma. The problem – El problema. The program – El programa. The system – El sistema. The topic – El tema. For this episode Arantxa wanted to introduce a Spanish cultural section. This week Arantxa discussed one very popular television show in Spanish and the original song that inspired the show. The band that Arantxa recommended is called Formula V. They were big in the 60’s and my take on them is that they sound like the Spanish version of The Beatles. What is your biggest takeaway from this episode?